Happy Easter to all our supporters! Here is our Easter newsletter, with a focus on our recent 25th Birthday Celebrations, where we enjoyed looking back, celebrating the range of work that we do and praying for the future. We also have our new Summer Diary, with details of where we expect to be over the next term. It’s been a busy term as we welcomed our new team member, Adam, did the normal round of assemblies and autumn projects, and started a few new ones. Read our newsletter below to find out about everything that we’ve been up to. There’s also our spring diary so you can pray us through the next term, plus three added extras – our Christmas card to you, details of the Zephaniah Christmas Shop (get your Christmas presents sorted!) and an order form to get tickets for all the exciting stuff we are doing to celebrate our 25th birthday. This year marks the 15th anniversary of Julie’s storytelling with Zephaniah – come and join us to celebrate! Julie will perform The Kintsugi Tales, a collection of her original stories and borrowed tales, interspersed with songs performed by a live band. Kintsugi is the Japanese art of repairing broken pottery using beautiful seams of gold, reflecting the philosophy that shattered fragments can be mended and redeemed into things of beauty. Saturday 17 November, 7.30pm, at St Peter’s Church, Moorhead Lane, Shipley. Tickets £5 from Zephaniah – request yours using the form below, ring us on 01274 533732 or email office@zephaniah.org.uk. It’s the start of the Zephaniah year, as the schools start to go back, and its the time of year when we round up what we’ve been doing over the spring and summer. Here’s our latest newsletter, with all the latest news of what the Zephpeeps have been up to. There’s also a link to our prayer diary for the autumn term, so you can pray us on our way. Breathe fresh life into the Christmas story with Sparks of Hope, a brand new nativity resource from storyteller Julie Wilkinson. The Zephaniah Trust is pleased to present our brand new Christmas resource for 2017. 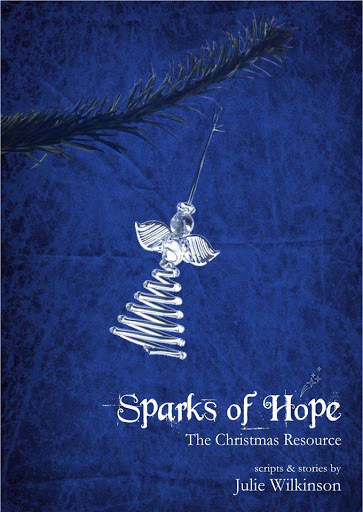 Sparks of Hope: The Christmas Resource is a collection of original scripts and stories from our storyteller, Julie Wilkinson, which can be used in churches, schools and communities to share the Christmas story. Contents include two all-age nativity scripts (The Historians’ Nativity and The Innkeeper’s Nativity), The Walking Nativity script, and The Midnight Nativity (a set of stories for the stillness and the quietness of Christmas Eve). Every script and story in the resource book has been written, tried and tested within a church context, resulting in a collection of engaging, dynamic pieces that have been proven to work. Each piece comes with a set of explanatory notes including helpful production hints to take the strain off nativity preparations. Copies of the book cost £10, plus £2 p&p, and can be ordered direct from the Zephaniah Trust on 01274 533732 or office@zephaniah.org.uk. Julie Wilkinson has been writing for as long as she can remember, discovered she was a storyteller in 2002, and has worked for the Zephaniah Trust since 2003. Since then, she has taken her traditional performance style into many schools, churches and community settings across Bradford and beyond, sharing Bible stories and folk tales, original material and borrowed stories. 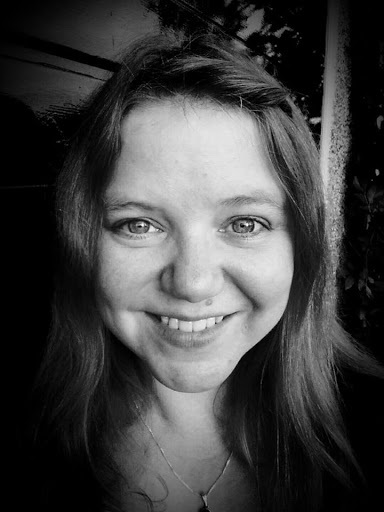 She has a gift for bringing stories to life, discovering the magic within the mundane, and connecting with audiences of all ages. She is a firm believer in all-age ministry and is committed to the premise that adults have as much to learn from children as the other way round. She grew up in a Methodist church, spent her young adulthood in a Baptist church, and is currently connected to an Anglican church, where she arrived via GraceSpace, a fresh expression. She is part of a small community called Meadhall, who gather regularly around God’s table and God’s story. The Zephaniah Trust is a small Christian charity using music and the arts to “take light into dark corners” across Bradford and beyond. Every year, our team of part-time workers reach over 10,000 children in schools throughout the city, providing assemblies, lessons, workshops, events and more. Founded by John Froud in 1994, the Trust is committed to working with those of all faiths and none to make the world a better place. Contact us on 01274 533732 or office@zephaniah.org.uk. A haiku is an ancient Japanese ‘precise’ poem, being a 17 syllable, 3-line verse consisting of 5 syllables for the first line, 7 syllables for the second line and then back to 5 syllables for the third line. Traditionally, the subject matter is about nature and the emotional response to such. In the two haiku below, Stewart Henderson has adapted the haiku template for us to consider the ‘bouquet’, and ‘deep magic’, to quote C.S. Lewis, of Easter Sunday. 2) Inhale the sweet air. The above is a response to my son’s obsessive need to sing Christmas songs at all times of the day and night. In March. 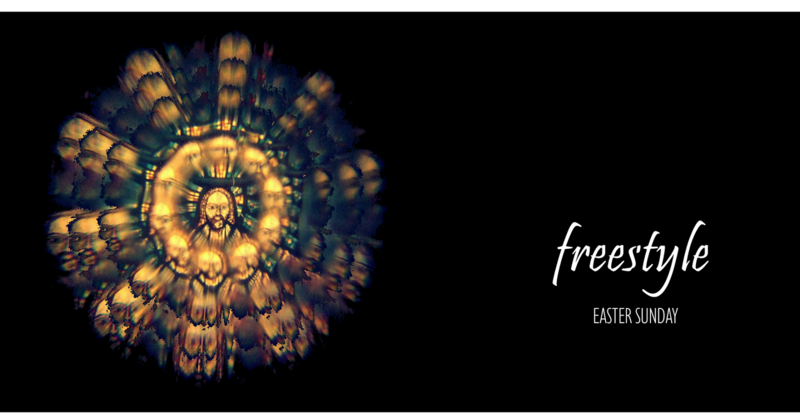 So having attempted to make him sing We Wish You a Merry Easter and Jesus died for you… it got me thinking about Carols and why there aren’t any at Easter. The verb of Carol is “to sing or say something happily” so I wondered if that was why there were no Easter Carols despite there being many glorious and triumphant hymns (the one about angels in bright raincoats was always my favourite as a kid – can you guess which one that is?). This got me thinking about joy at Easter. Is it truly possible to en-joy a story of pain and death? to experience with joy; take pleasure in: He enjoys Chinese food. So here’s the thing. I run a business raising self-esteem and confidence of all ages and, much like my fabulous friends at Zephaniah Trust, I also do storytelling although mine are interactive sessions specifically for under 5s. We really enjoy our sessions – we enjoy the stories and the songs! It was as people arrived however that it became obvious that they were really pleased that the true story of Easter was being shared. It was lovely to take such an important and yet simple story and turn it into something so packed full of joy and happiness. I was aware that with little ones I wanted to downplay the death and turn up the volume on the happiness and then I realised – this is actually the meaning of Easter in a nutshell (or an eggshell…). Yes, Jesus died – a horrible, brutal, painful death (I actually believe that when we talk about Jesus coming to earth to die it is just as important to realise that he died to himself long before he died on the actual cross) but He also had the most beautiful, glorious resurrection which we will be hearing more about on Sunday. Easter is full of joy. It is to be en-joyed! This is what happened at Easter time. Joy was set free. Forever.